Happy Labor Day to all our U.S. friends!! It's traditionally the last big fling of Summer but you'll never get me to say that! :) We have a treat for you all - how about a sale to celebrate?! For today only, use coupon code LABOR25 and receive 25% off your order - Woohoo!! Now how about a little project? Oh, forgot to say, it's me - Julie - posting today! When I got my super DT goodies I was so excited to see this cool Wplus9 set, Fresh Picked. 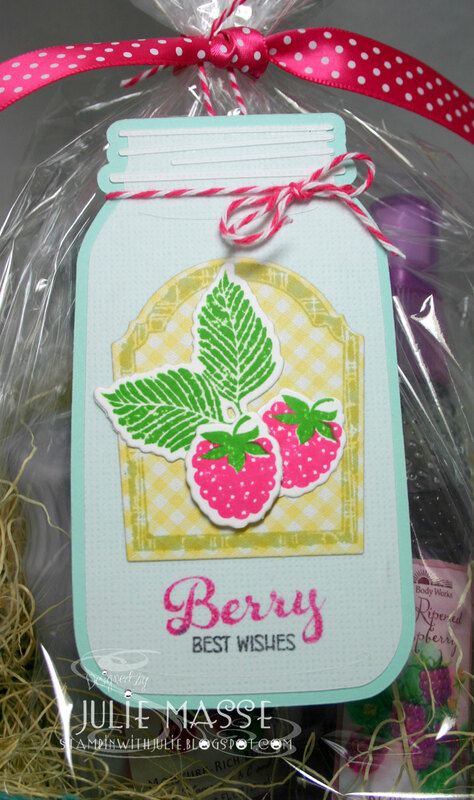 The berries, the fonts, that awesome label (which also has a coordinating die available!) - love it! So here's my little project. I made a tag using the super cute raspberries - which were also cut using another coordinating die! 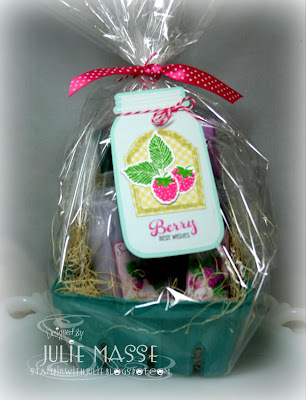 The mason jar tag itself was cut using my Silhouette Cameo and I was so tickled to find that awesome jar design! It goes perfectly with the tag image, I didn't even resize it! Sweet tag Julie. 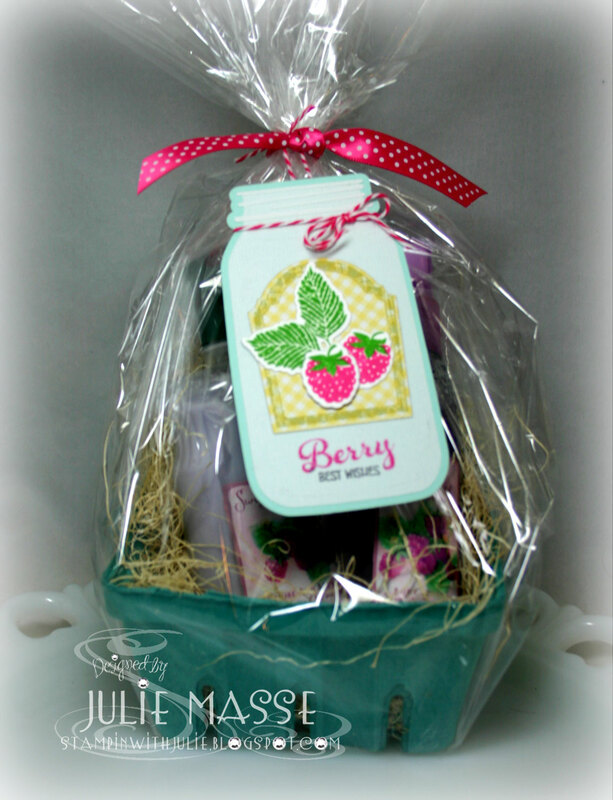 Love the jar with the coordinating die and stamp. Neat! This is so cute, Julie! I love the bright fresh colors! !